I started off by trying out part of the makeup line, and there were definitely some hits and misses. Keep reading for all the details! I love this stuff! This is my new go-to foundation. The biggest thing I'm looking for in a foundation is that it looks and feels natural (with light coverage that's buildable). I had been using the NARS Velvet Matte Skin Tint, particularly because I tend to get oily around the t-zone, but I was on the hunt for something more hydrating. I love the texture of this creamy Beautycounter formula, and it feels like nothing on the skin. My favorite way to apply this is to dab it around my face with my fingers and then blend in with a brush, like the Sephora Classic Multitasker #45. I use this foundation in the shade Linen. I love using this concealer to highlight. I use it in the shade Fair, so it's slightly lighter than my skin tone. It blends nicely for a natural finish and does a great job brightening and evening out general redness. However, it does not do a very good job of covering acne. For acne, I still turn to my beloved NARS Radiant Creamy Concealer. Maybe one of these days I'll be able to find a green beauty concealer that's able to compete. I've been on a big cream blush kick lately, particularly throughout the drier winter months, but this powder duo caught my attention in a good way. 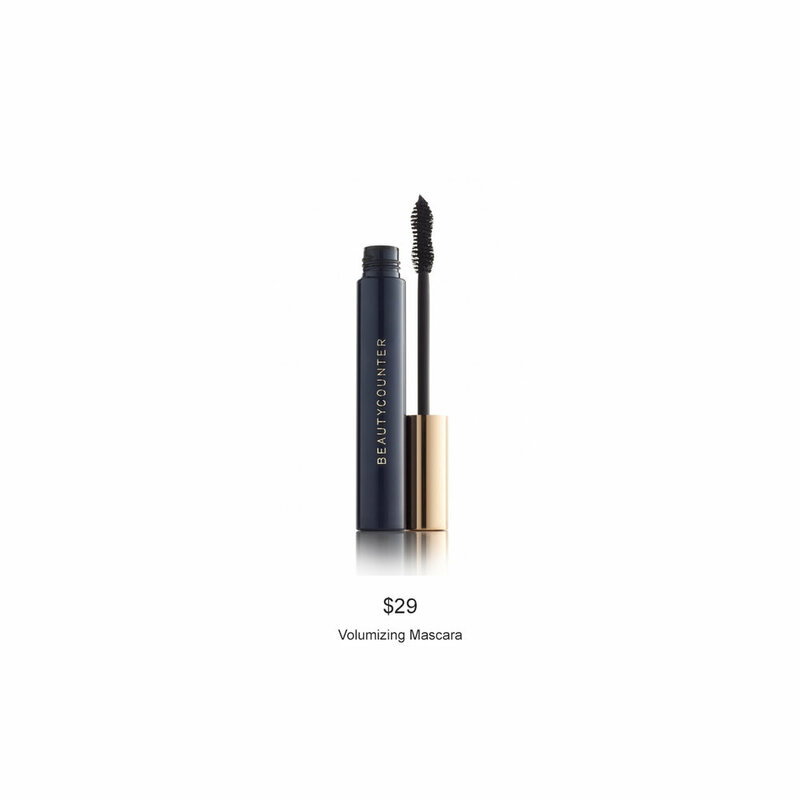 It's infused with Porcelain Flower Extract to moisturize and help the color blend out evenly. I use it in the shade Tawny/Whisper, which is combo of dusty pink blush and light matte bronzer (not the shade shown up above). The two shades can be blended together, but I like to apply them separately. I apply the lighter one first, higher on my cheekbones, and then I apply the darker shade just below it. I expected more out of this mascara. The biggest pro is that it doesn't clump. The major con is that it's not volumizing at all. If you're looking for something super natural (a tiny bit of tint for daytime or work wear), this might be for you. But I'd pass if you're looking for true volume. I generally need to apply 3-4 coats to feel like I'm getting any sort of definition. Meh... that's how I feel about this pencil. I don't like brow pencils that you have to manually sharpen. I never feel like I can get a fine enough point. I knew that was going to be the case when I got this, but it came bundled as part of a kit with other products I wanted, so I ended up with it anyway. This isn't something I would buy on its own, especially for $23. 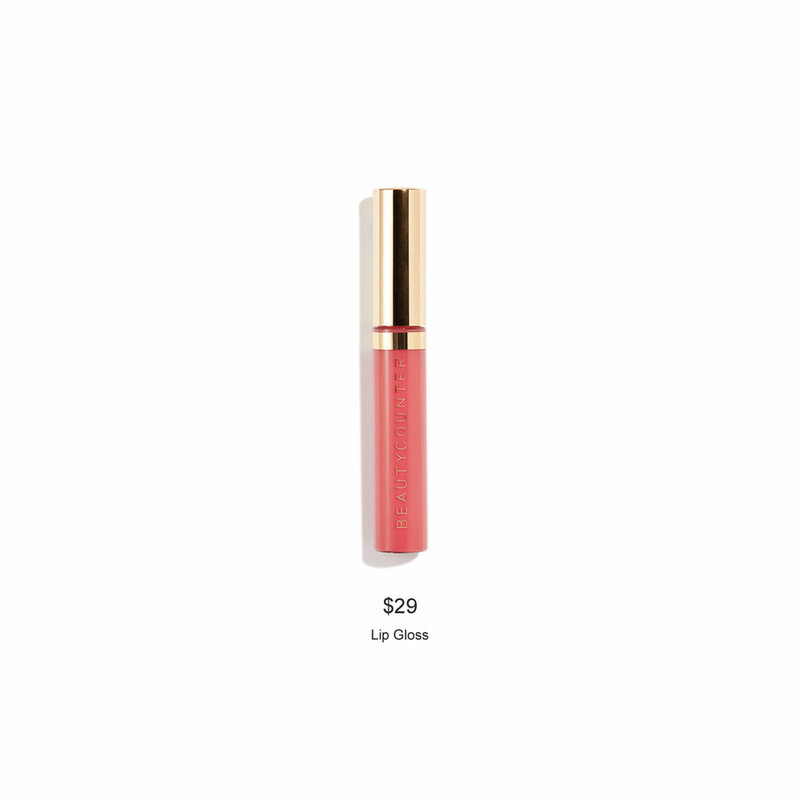 This is a very pretty gloss that glides on without any stickiness. I use it in the shade Peony, and it's the perfect everyday color. Bonus: the applicator is pointy to make sliding it on a breeze! I'm a big fan of these lipsticks! The shade Petal is very, very faint, but the other two I've tried (Coral and Scarlet) are surprisingly pigmented for such a lightweight, moisturizing lipstick. And can we talk about the packaging?! Super luxe and gorgeous! This is not a sponsored post, but this post does contain affiliate links. Which means I may made a small commission when you click on them (at no extra cost to you). As always, all opinions are my own. Thanks for supporting the blog!